In 2010, after selling a software business, Claire decided to incorporate her passion for pets into her career. She took on the challenge of becoming the General Manager of Rover Oaks Pet Resort in Houston, TX. Her skills in business management, customer service and marketing have helped Rover Oaks Houston realize year-over-year growth and maintain its reputation as the premier pet resort in Houston. Claire makes it a priority to cultivate relationships with pet care facility managers and owners across the country to share best practices and gain ideas to better serve Rover Oaks’ clients, both furry and human. Jeff Adney has worked in the resinous coating industry for the past 20 years and has been heavily involved in the Animal Care Industry for the past 16. In addition to working with the various flooring and wall products specific to this industry, Jeff consults with designers and architects, and is a sought after speaker. Jeff earned his BA degree at the University of Evansville and has since earned a Master Certificate in Decorative Concrete. Jeff Adney is proud to be the new Sales and General Manager for PermaTek Coatings – “Animal Care Flooring by the Animal Care Experts.” PermaTek Coatings is a national company that specializes in installing floor and wall coating solutions specifically for the animal care industry. PermaTek is the only exclusive authorized licensee of Prime Coat Coating Systems line of products in the United States for the Animal Care industry. Eric has over 10 years’ experience in the tech industry, specializing in digital brand development and software product development. Eric focuses on transforming simple websites into interactive and customer focused experiences. At Big Dog Ventures, Eric oversees every digital initiative for both the Dr. Boyd’s Veterinary Resort and No Vacancy Reservation Software brands. Alexandra Bassett, CPDT-KA, (also known as Lexi) is the lead dog trainer and behavior specialist at Dog Savvy Los Angeles. Originally from Martha’s Vineyard, she has worked as a professional dog trainer and shelter volunteer for over 10 years. Alexandra counts Susan Garrett, Andrea Arden, Grisha Stewart, Kevin Behan, and Dr. Sophia Yin as the major influences on her training approach and philosophy. She has developed Dog Savvy Los Angeles's breakthrough behavior modification programs for solving leash reactivity, aggression, and separation anxiety in dogs based on her studies of the teachings of Pat Miller, Patricia McConnell, and Grisha Stewart. Ritch Batterton is President and Co-Founder of Tristar Vet and founder of Direct Animal Products located in Boyd, Texas. In 1998, Tristar Vet was co-founded alongside his late father, Richard Batterton, Sr. when they saw a need for custom stainless steel products in the animal care industry, specifically veterinary clinics. In 2005, Ritch established Direct Animal Products to provide an affordable, durable stainless product line for groomers, humane societies and boarding facilities. Ritch leads his team in working with architects and animal care professionals to develop custom features for function, safety and ergonomics; and the company holds patents for a number of their custom-engineered product advancements. Michael Bell has over 15 years in the synthetic turf industry. With his experience in manufacturing of the thread to finished product including installation, Michael has become a sought-out expert in the synthetic grass/turf industry. He spent most of that time as VP of Southwest Greens with duties including design, sales and turf installation for kennels and landscape and golf greens. 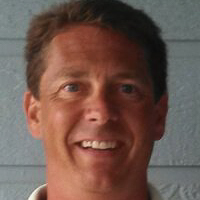 Michael is currently the VP of sales for Challenger Turf in Dalton, GA, residing in Phoenix. His responsibilities include cultivating new business as well as maintaining his current accounts. He works closely with management, manufacturing and installers on innovating ideas to improve the products and service at Challenger. Dr. Campbell, DVM, DACVS-SA is a board certified veterinary surgeon. He attended the University of Delaware for his undergraduate training and graduated from Tuskegee University School of Veterinary Medicine in 2005. He is a specialist surgeon at VetSurg - a surgical practice in Ventura, California. He enjoys all aspects of surgery including orthopedic, soft tissue, oncologic, and minimally invasive joint surgery. He also has a strong interest in preventing infectious disease. Dr. Campbell co-hosted Pet Talk on Nat Geo Wild, a first of its kind talk show dedicated to the wonderful world of pets. He continues to be a regular guest on programs such as Rachel Ray, Live with Kelly, Hallmark Channel's Home and Family, The Doctors, Top 30, The Real, and The Pet Collective’s YouTube channel Ask a Vet. Jessica Finnegan is the Director of Operations at Greenbriar Veterinary Hospital & Luxury Pet Resort in Maryland, a 400-suite boarding campus and a hybrid of a resort and hospital. 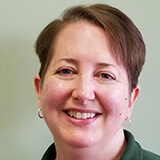 She received her degree in Business Management from Edinboro University in Edinboro, PA. Jessica is the founder and CEO of Trinity Tower Consulting where she invests a great deal of time mentoring and coaching owners and leaders within the pet care industry. Her passion for “out of the box” methods of business development has benefited pet advocates in driving their business to the next level. Ken Karmie is part owner and product manager of the K9Grass product for industry leader ForeverLawn Inc. Ken and ForeverLawn have innovated specialty synthetic grass products and installation solutions to address the challenges dog care and boarding presents. ForeverLawn is the recognized leader in the industry and the only company with a synthetic grass product specifically designed for dogs. Ken and ForeverLawn have developed and implemented hundreds of installations across the United States. Ken has a Bachelors of Science Degree from Mount Union College and over 20 years experience developing and implementing business solutions. Scott Learned is the president and founder of Design Learned, Inc. Scott has overseen the engineering of mechanical, electrical, plumbing, fire protection, and noise control design since the company’s inception in 1993. The company specializes in veterinary hospital and animal shelter planning and engineering, having designed hundreds of projects throughout the country. Scott is a frequent speaker on animal facility design and building system engineering at national conferences as well as authored articles for Pet Services Journal, Animal Sheltering magazines, and multiple industry journals. Among his many qualifications, he is a Board Certified Licensed Professional Mechanical Engineer (PE) and a Board Certified Licensed Professional Electrical Engineer (PE). Pat, along with his wife, Jenna ditched their corporate jobs in 2015 to go all in on their lifelong dream of owning a doggie daycare and boarding facility. In just three years they have turned a one groomer business into two locations, mobile grooming, online training and are in the process of breaking ground on their first major resort facility. Take notes as Pat & Jenna give you some of their best tips and practices to scale your operations quickly. Dr. Ramirez has over 25 years of experience in the field of chemical formulation. He holds over 20 patents covering disinfectant formulations for a variety of applications and the original patents for Accelerated Hydrogen Peroxide (AHP), and has worked extensively on the registration of the technology in many countries around the globe. His expertise is in Disinfectant Formulation Chemistry and all aspects related to their application in many different settings. Currently he serves as Executive VP for Virox Animal Health and Lead Science Advisor. Dr. Ramirez holds a BS in Mechanical Engineering, and an MS and PhD in Chemical Engineering from the University of Colorado, Boulder. Lynne Swanson, DVM is the author of “Learning DOG” and “SMILE! and other practical life lessons your dogs can teach you (while you are training them).” Together with her Doberman partner, Hiker, she enjoys traveling the U.S. and Canada to speak at conferences and volunteer with the not-for-profit SMILE! Project. This project provides training for shelter, rescue, boarding, training and veterinary personnel (in groups of 30 or more, often networking together), and it raises funds to support dog rescue and the SMILE! pet-parenting library initiative. When not with his dog, Jeff spreads InTouch’s core values around to the veterinary industry. Educating practices and the industry on how to do things the right way online, Jeff learns and educates daily on what’s working today in the digital world. InTouch is regarded as a “thought leader” in the veterinary digital marketing world, being the home to many of the top experts in veterinary web development and SEO.